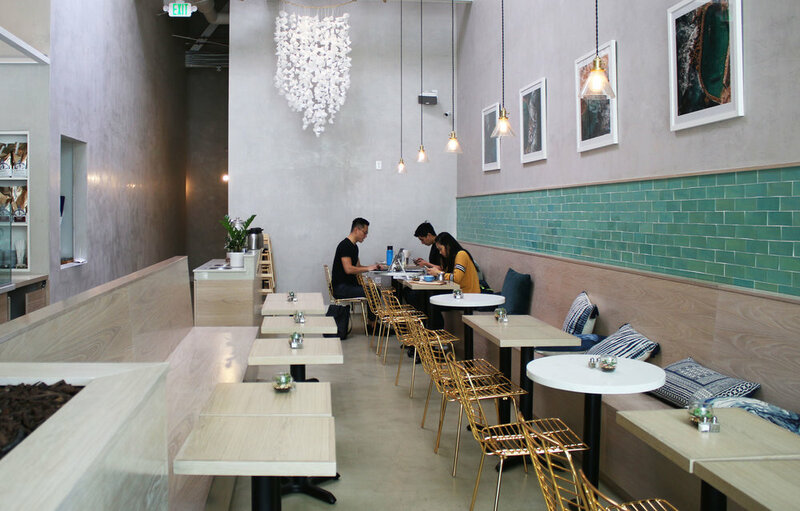 In the former Clover juice space, Scout is a new all-day eatery attached to Silverlake mainstay Sawyer. Open from 7am-7pm, it's a great spot to stop by for a bite, especially in the morning. 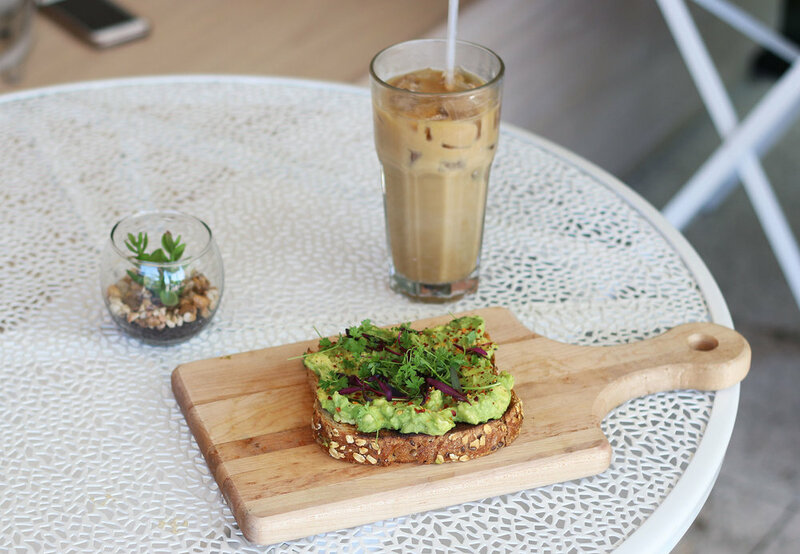 They boast a light, tasty menu of breakfast favorites, salads, bowls, toasts, and smoothies, with plenty of coffee options. You should also stop by to check out their marketplace, which features everything from LA-made goods to kombucha, cheese, and cured meats. My favorite bite was the House Cured Salmon Toast, a light but substantial take on a bagel and lox that I could easily eat every morning on my way to work. As the bad Angeleno that I am, I had actually never been to Descanso Gardens until my recent brunch at Maple. 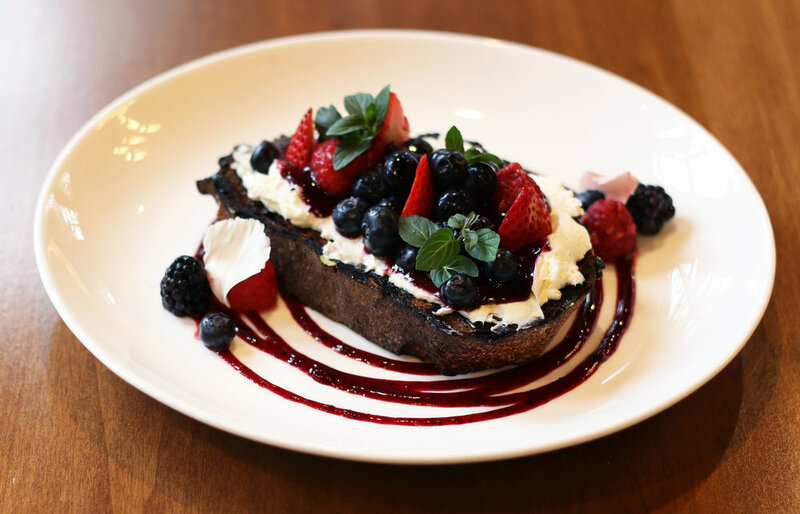 The new, family-friendly brunch restaurant from Patina serves Modern American cuisine with Southern and Mexican influences.I stopped in one rainy morning to get a taste of their crispy fried chicken, sweet berry toast, avocado toast (of course), and more. It's undoubtedly a fun, scenic place to go with your family or a group! La Brea is one of my favorite streets in LA-- with Commerson, Sugarfish, Republique, there are so many fun food options. And until the recent opening of Bluestone Lane (with a brand new Sweetgreen next door), there weren't too many brunch options. 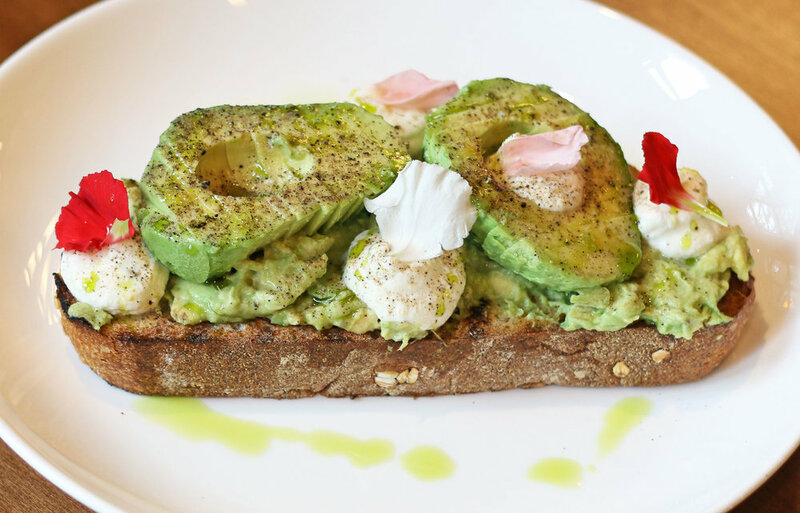 Thankfully, New York transplant Bluestone Lane, an Australian-style cafe, has blessed this street with a beautiful all-day eatery. Similar to Scout, there are plenty of breakfast options, healthy bowls, toasts, and eggs. Sure, it may be basic, but the avocado toast was quite good, as was the salmon toast and grain bowl (are you seeing a pattern here?). With plenty of coffee options and wifi, it's also a great spot to stop by for a working lunch. Located in the up-and-coming neighborhood of Highland Park, Checker Hall isn't an easy place to define. It's on the second floor of a refurbished Masonic Temple that now serves as a music venue (this feels like a statement from the mouth of SNL's Stefon), where the space has been transformed into a beautiful, bright, mid-century modern restaurant. 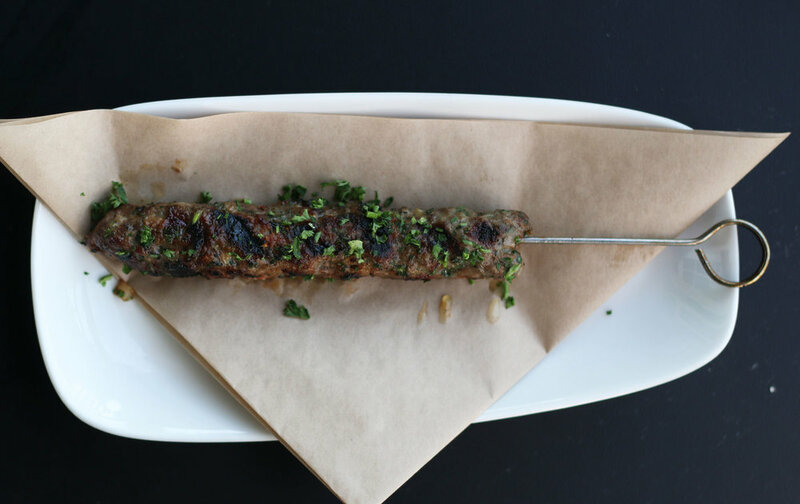 They open at 5pm, and we highly recommend stopping in for happy hour, when you can munch on Mediterranean bites like shrimp skewers, beef skewers, labneh, and cauliflower. 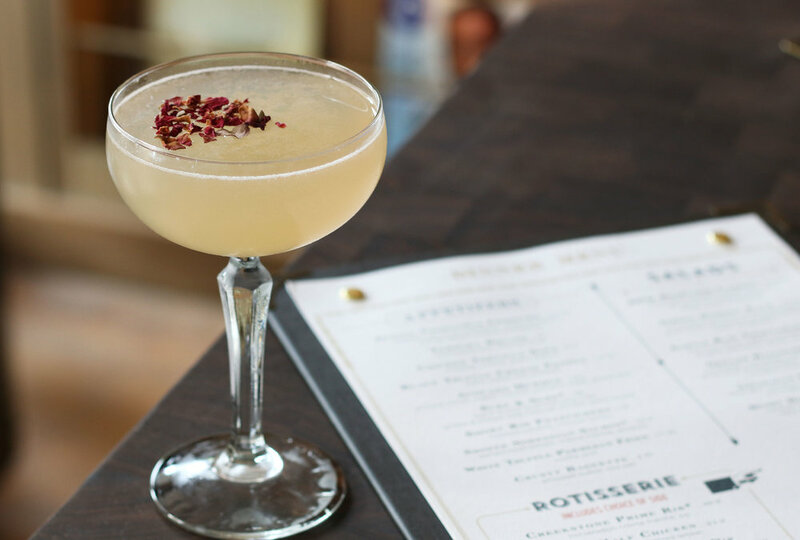 We recently had the pleasure of checking out the opening of one of the newest restaurants in town, The Henry in West Hollywood. The Henry offers a wide variety of foods from classic dishes, like a diner burger, to a fun spicy double egg fried rice and a decadent black truffle risotto. They also have a coffee bar for your morning pick-me-up, decked out with freshly made and deliciously sweet pastries and a list of hip coffee drinks. The Henry on Robertson has definitely added a new hotspot to a street desperately in need of one, and we expect we will be frequenting the spot much more throughout the year. Also, did we mention they have the cutest Parisian-inspired patio? With little polka-dot chairs and marble tables, you might even feel like you're enjoying a coffee and a pastry on the streets of Paris.